هو موقع انترنت يقدم خدماته توافقا مع بند ٢ من قانون حق المؤلف للألفية الرقمية، 17 U.S.C. 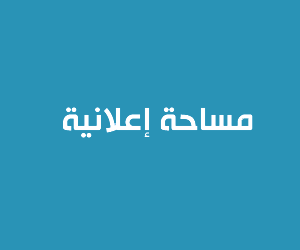 القسم 512 (“DMCA”). وسوف نوافيكم برد واضح حول الموقف وحذف اي خرق او انتهاك لمادتكم الفكرية. Badr4Soft abides by the federal Digital Millennium Copyright Act (DMCA) and other applicable laws by responding to notices of alleged infringement that comply with the DMCA and such other applicable laws. Badr4Soft shall remove or disable access to material residing on its servers, within 48 hours after it has received a Notice of Infringing Material. This policy is intended to implement the procedures set forth in 17 U.S.C. Section 512 and the Digital Millennium Copyright Act (DMCA) for the reporting of alleged copyright infringement. It is the policy of Linksp.Com and our services (the Company) to respect the legitimate rights of copyright owners, their agents, and representatives. Users of any part of the Company computing system are required to respect the legal protections provided by applicable copyright law. copyrighted works at a single online site are covered by a single notice, a representative list of such works at that site. such as an address, telephone number, and, if available, an electronic mail address at which the complaining party may be contacted. of perjury, that the complaining party is authorized to act on behalf of the owner of an exclusive right that is allegedly infringed.